Learn how you can study in Australia with Access Australia education services. Access Australia helps students from all over the world achieve their dream of studying and living in Australia. Access Australia values travel, as well as education, as an important part of a person's development. Access Australia offers assistance in the application process and migration to Australia, allowing applicants from all over the world access to Australia's growing economy and first class way of life. Not only can we help with the application process but through our Registered Migration Agent (RMA), we can assist with the processing of your visa as well. We also offer a full support package to fully assist and support you with the arrival and settling in Australia. If you want an agency that offers high level service before and after you arrive, Access Australia is for you. Scroll down read about why Australia is the right study destination for you. These are strong academic credentials, but our institutions are just as highly rated as the cities that house them around the country. 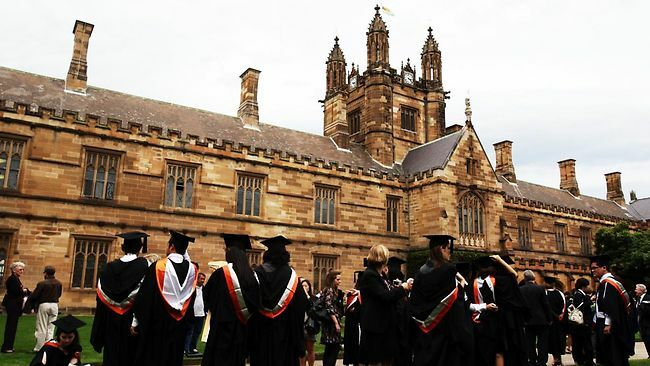 Australia has five of the 30 best cities in the world for students based on student mix, affordability, quality of life, and employer activity – all important elements for students when choosing the best study destination. And with more than AUD$200 million provided by the Australian Government each year in international scholarships, we’re making it easier for you to come and experience the difference an Australian education can make to your future career opportunities. Why wouldn’t you want to study with some of the best minds in the world? Read more about Australia as your study destination at http://www.studyinaustralia.gov.au/global/why-australia. Access Australia provides students with a complete end to end package with university applications right through to visa assistance and even things like helping you find accommodation when you arrive. Access Australia will guide you through the entire process of studying in Australia to ensure a smooth, enjoyable and fulfilling study experience from the very beginning. mentoring and general assistance during your stay in Australia. When you have arrived at your destination, we will provide you with all the resources you need to make your study experience as fulfilling as possible. opportunities to go travelling around the country including local cultural activities. When you sign up with Access Australia, you also have the opportunity to participate in a range of unique cultural experiences to give you further insight and understanding of Australia's history and way of life. These experiences will vary depending on your study destination, but can include trips to Parliament House, Aboriginal cultural experiences, and visits to historical sites and rural Australia. These tours are offered to help you get the most out of your time in Australia. The only thing you have to do next is: Contact Us! We look forward to seeing you in our beautiful country!